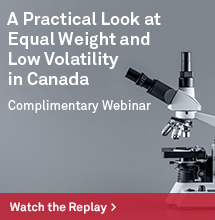 Euphoria seems to be taking over the stock market with frequent stories of new highs – but what is more important is how strong the stock market performance is relative to the bonds. Month-to-date through Jan. 18, 2018, the S&P 500 is outperforming the S&P 500 Bond Index by 3.8%, the most since Dec. 2016, when the monthly outperformance was 4.5%. The comparison between the stocks and bonds of the S&P 500 shows market sentiment by calculating the the equity risk premium or discount. 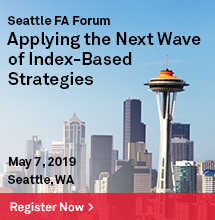 If there is equity outperformance, it is called an equity risk premium, and it indicates that market participants may be more inclined to participate in the upside of stocks rather than to be protected by the limited downside risk of the bonds. Conversely, if the bonds outperform the stocks, it is called an equity risk discount, and it reflects bearish feelings, so market participants may be more likely to capitalize from the bonds. 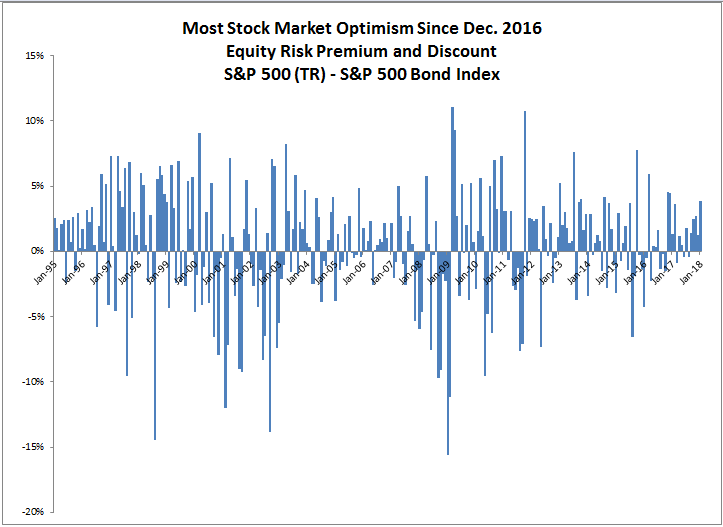 Not only is the sentiment highly positive now by magnitude, but this is the 5th consecutive month with a positive equity risk premium. It is the first time since the 5 months ending in July 2013 that the S&P 500 outperformed the S&P 500 Bond Index for this long. As of now, this market seems fearless and there may be no need to worry yet. Through history, equity market discounts are observed before big stock market declines. In 1998, the S&P 500 Bonds outperformed the stocks in May before the S&P 500 top in June. 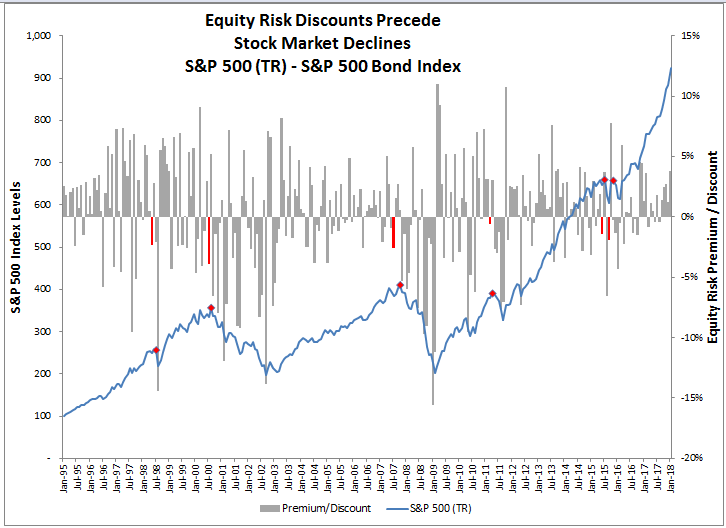 Similarly in 2000, there was an equity risk discount in July before the August top. Again in July 2007 before the Oct top that year, and also this pattern was observed in March and April 2011, June and July of 2015 as well as in Sep. and Nov. that year. If this pattern repeats, an equity risk discount should be observed before a major stock market decline. 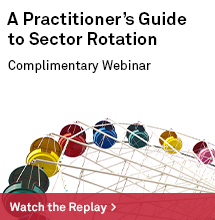 The same concept applied above can be applied for a gauge on sector sentiment by applying the formula to the equivalent S&P 500 sectors and S&P 500 Bond Index sectors. 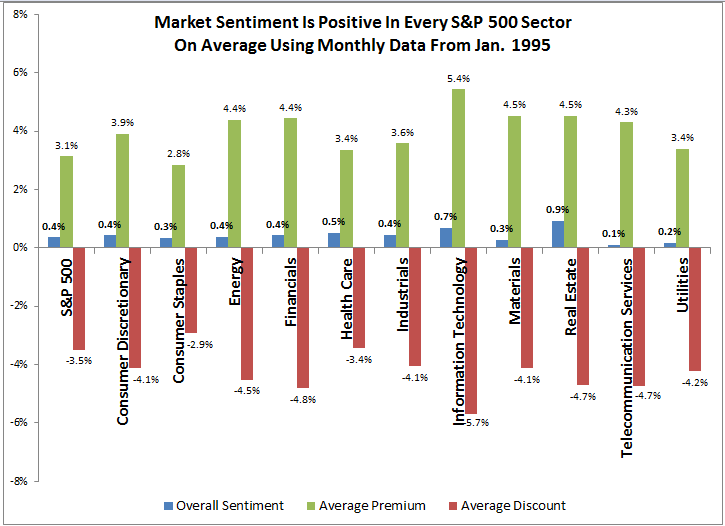 On average, the market sentiment is slightly positive in every sector, but there is a slightly bigger monthly equity risk discount (measure of pessimism) than equity risk premium (measure of optimism) as measured by the magnitude of equity risk premiums and discounts monthly starting in Jan. 1995. Materials is the only sector that shows slightly bigger premiums. Source: S&P Dow Jones Indices. Real estate data is as of Nov. 2001. 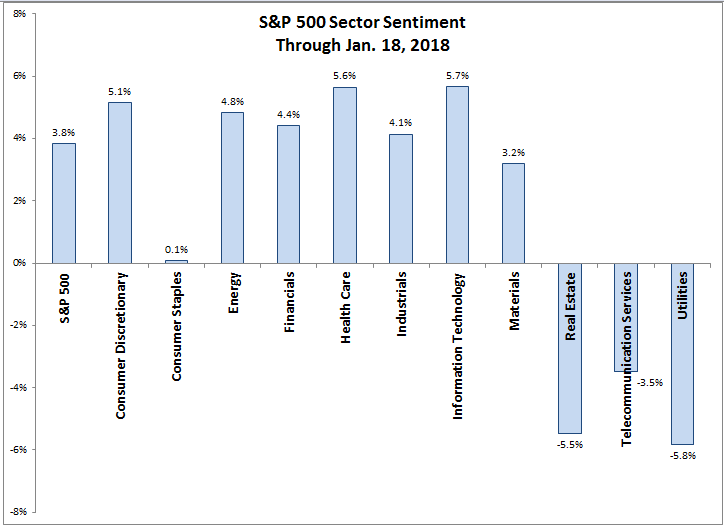 Currently, there are 8 of 11 sectors with positive sentiment with pessimism in real estate, telecom and utilities. While utilities is the most bearish with an equity risk discount of 5.8%, it is less negative than the 6.2% discount last month, but is the biggest consecutive monthly discount since Feb. 2009. On the other hand, the equity risk discount on real estate has increase from 0.4% last month to 5.5% and is the biggest monthly discount since Aug. 2013. 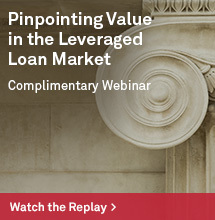 The concern in this sector is justified by the fear of rising rates, especially in the 10-year that impacts mortgages. The analysis is really wonderful. Thank you Jodie G.!